As autumn arrives and winter looms we move indoors and our home becomes a cosy sanctuary. Or does it feel cluttered and out of control? Well, let Forever Spaces help you take control, declutter and make better use of your space. Many houses have unused nooks and crannies that can be turned into valuable storage space with bespoke wardrobes. A study found the UK has the smallest homes by floor space area of any European country, with the average new build home having just 76 sq m of floor space, compared with 109 sq m in Germany and 137 sq m in Denmark (University of Cambridge 2014). We all have more stuff than ever and not enough storage space, so let’s change that! 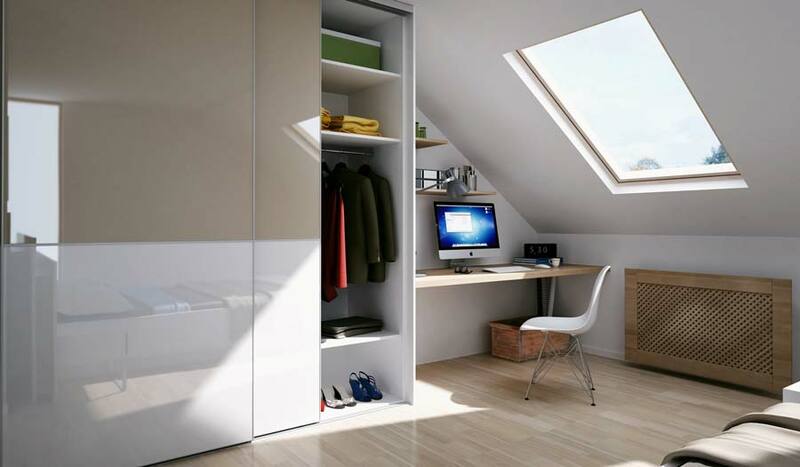 Forever Spaces can design wardrobes for any shape and size including comb ceilings, stairways and chimney breasts. We can move radiators and other fittings, thanks to our large inhouse fitting team. Our designs include floor-to-ceiling wardrobes, walk-in wardrobes, home office storage or simply room dividers with sliding doors. 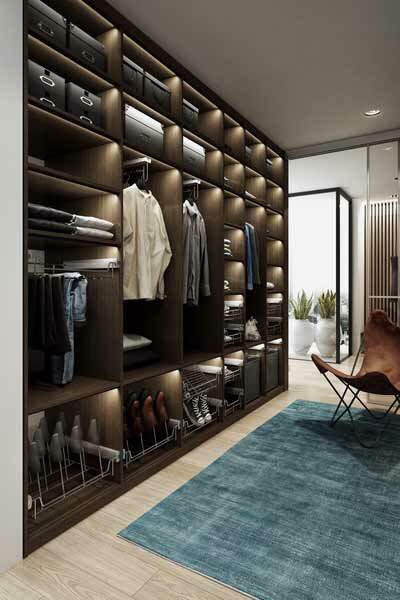 Forever Spaces is a specialist in designing and fitting clever wardrobes in awkward spaces. Our wardrobes are manufacturer from recycled materials, and designed and fitted here in East Lothian. Forever Spaces will carry out a detailed survey of your bedrooms or other spaces. We offer 3 different, costed design options using 3D walk-throughs to help you visualise what suits you best, and this can be modified to your taste in minutes. We’ll ensure that the style and colour complement your rooms. Our bespoke range of wardrobes and cupboards allows endless customisation from seamless glass, smooth gliding wardrobe doors that lead to en-suite bathrooms, to hidden doors with one-touch electric openers. We only work with high quality brands such as Komandor and Mereway, which offer a wide range of beautiful materials and finishes. Wardrobe doors can be made from stunning coloured glass, mirrors or from a wide range of laminates, leather, bamboo or rattan panels. They all come with a variety of internal storage options. Rest assured, our highly skilled inhouse craftsmen will ensure that your installation goes completely to plan. We also offer substantial workmanship guarantees compared to our competitors. We aim to flawlessly design and bring to life your dreams, from clever storage solutions to beautiful kitchens, bathrooms and home offices. We want you to ‘Love the home you’re in’! Contact Forever Spaces for your free home visit, or bring your own measurements to our Haddington showroom for a no-obligation Design Meeting (01620 825808 or [email protected]).